I'm definitely one of those moms that worry way too much. I can't help it. I try and protect my kids and keep them safe as much as I can. Although we live in a decent town, one of Ontario, Canada's safest, I think I'm an over protective parent from events that happened in my childhood growing up in California. When I was younger around my daughter's age now, eight, I remember walking from cheer-leading practice with one of my best friends. We were walking to her grandmother's house before our parents came to pick us up. While walking there I remember a group of guys trying to talk to us. We ignored them and kept walking, but a couple of them started to follow us. All I remember is panicking and telling my friend that we need to run. We started running and thankfully, we ran into a familiar face, my best friend's older male cousin. We told him what happened and when we turned around the guys were no longer there. All I can remember feeling is scared out of my mind and wanting to be home. I never want my kids to experience that kind of fear and even living in a safe town, anything can happen. The other day I read that there was a man trying to get a young girl who was walking home from school into his van, this happened just one town over, 15-20 minutes away. Although my kids ride the bus to and from school, I still get nervous and worry for them all the time and for other kids in my town, especially the ones that have to walk home. No one should have to feel unsafe. This is why I'm pretty excited to share with you an app called React Mobile. 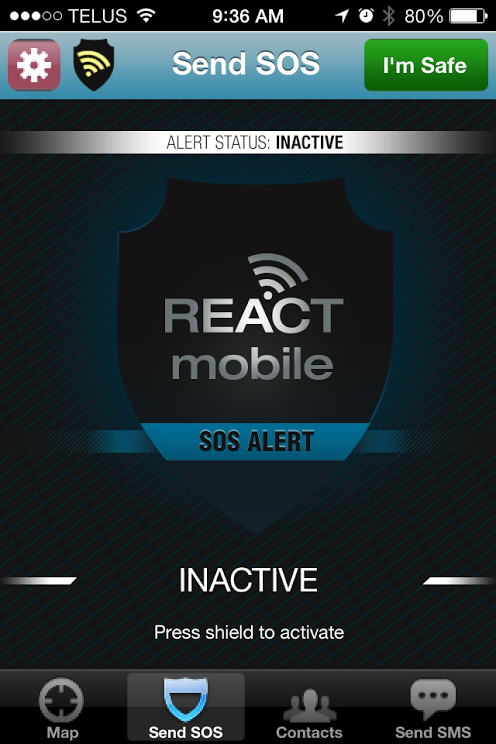 React Mobile is a safety alert app for both the iPhone and Android. 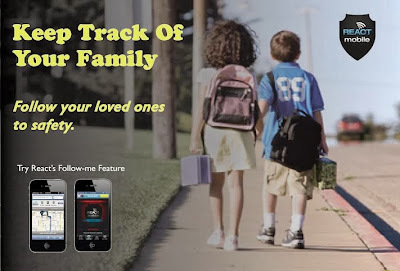 It turns your smartphone into a powerful lifeline. If only we had the technology we have today when I was younger, this would have been a life saver. 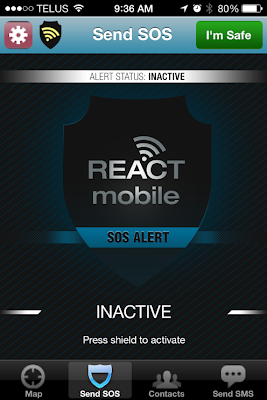 With React Mobile you can alert friends and family where you are and if you're in danger or not. It's easy to use and activate. With a push of a button you can alert those that are in your emergency contact, including the police, your whereabouts and if you're safe or not. 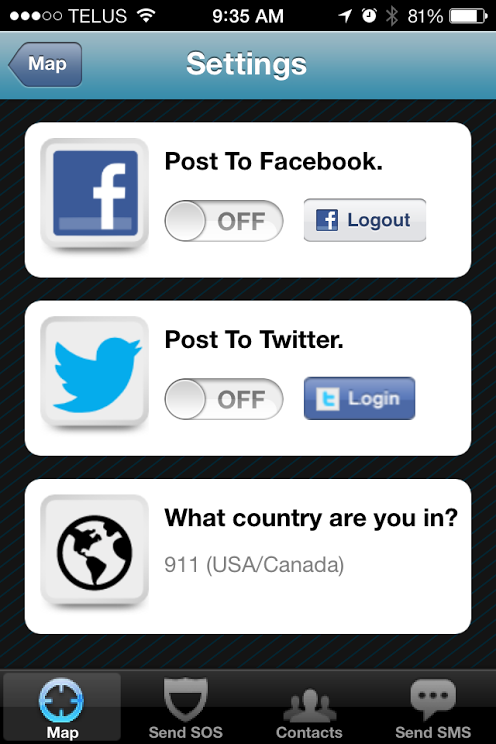 The app has a Follow Me button that allows you to add the contacts that are in your phone access to your whereabouts in real time whenever you feel like you could be in danger. This is a perfect feature for those of us who like jogging or taking walks alone. This is also a great feature to have if you have kids/teens that walk to and from a friend or family member's home around your town. When you have made it to your destination and are safe all you have to do is click on the I'm Safe button to let your contacts know that you are okay. 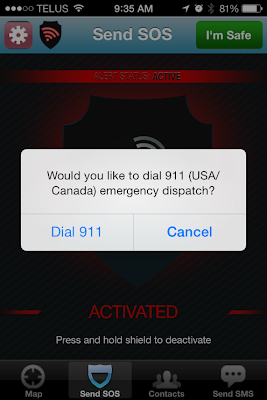 In an emergency all you have to do is press the shield that then activates an alert that contains a GPS location of your whereabouts. This can be shared via text and email. 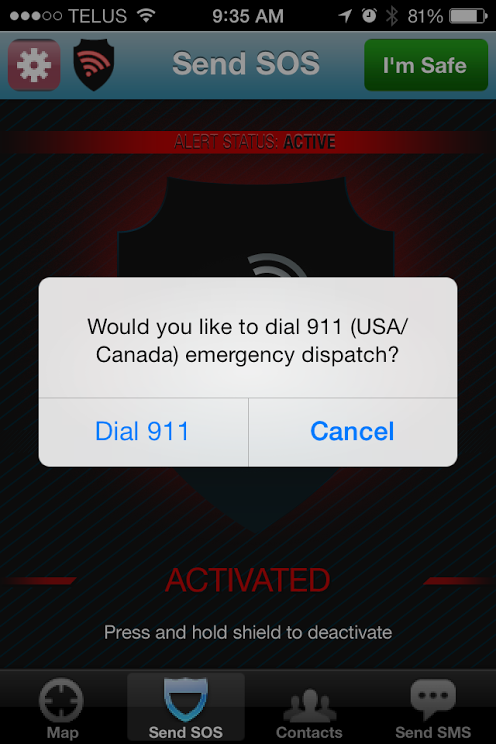 Once the SOS is activated it automatically gives you an option to call 911 or not. Their SOS button also allows you to share on your Facebook and Twitter too, which I think is great. With how social media is today, if you got hurt or felt like you were in danger, Facebook and Twitter are the two most popular social media outlets that can help spread the word to get you help. 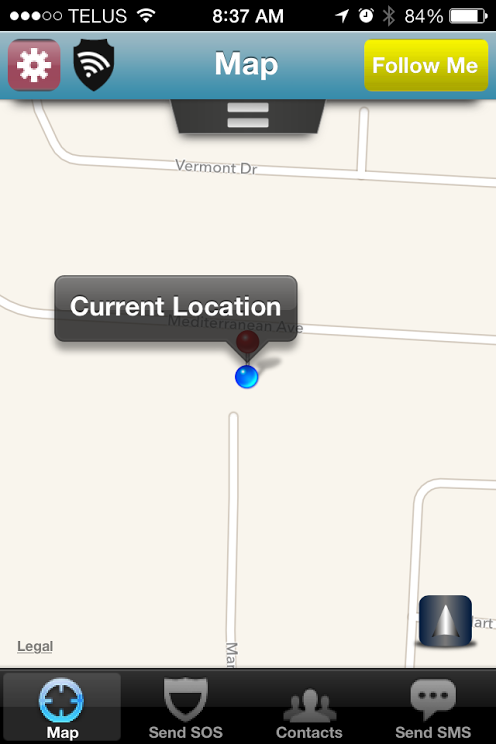 This is definitely an app that is worth checking out. It's free, easy to use and the most important thing, it can give you a piece of mind knowing that help is only a button away if you should need it. You can download the app from Itunes and Google Play Store. Disclosure: This is a sponsored post. As always, all opinions are my own. Compensation was received in exchange for reviewing the app.